ps...know where the title came from, with out cheating? There are 2 answers, the original and the modern remake. Years ago, I picked up a Tiffin lunch box in Brattleboro, Vermont. It was on a whim and way before I had ever given bentoing any thought. I was lured by the stainless steel of the Tiffin Box and even the cute matching insulated bag. Tiffin boxes are most common in India. Tiffin is a term used in India for a hot light meal or snack anytime of the day. The other day I met a friend for an outting at the Denver Museum of Nature and Science. As I was packing up our lunches, I decided to bust out the Tiffin. Our Tiffin is large, so it's more like a picnic lunch size. Rather than pack 3 separate bentos, I just packed one Tiffin! It has three stacking trays that lock into one another. I used the top as a plate for one of my daughters. One tray contains our sandwiches or meat/cheese wraps, Whole Foods 365 cheese puffs, and some fresh strawberries with decorative picks. Easy and waste free. Well, part of our situation with having to remove Milo from our home was complicated by what we would ultimately tell our girls. 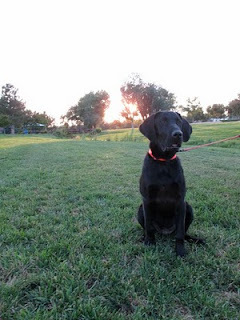 Anyone that is a parent or basically with a functioning rational brain knows you can't tell a six year old their dog, the one they love more than everything, needs a new home because THEY are allergic. My daughter is very sweet and caring, a bit of a joker, but takes things very close to the heart. She's always worn her heart on her sleeve and with maturity has learned to work through feelings of hurt or frustration, rather than just shutting down and pulling away. She has a infectious smile with beautiful large dimples. All I could imagine was the tears. Lots of flowing tears. Well this week has turned out to be a bit more emotional than I anticipated. There are things I'd like to talk about and other things I don't feel quite like discussing. Long story short, I found out this week that one of my daughters is allergic to cats and dogs. When we were sitting in the Doctor's office during the allergy test, the dog test lit up like a light bulb as soon as it was placed on her skin. I believe my eyes instantly welled with tears. I've been worried she had a dog allergy from the first time hives appeared on her face when our first dog Guinness innocently licked her years ago. I asked our Doctor about it and she brushed it off, no big deal. I told myself she has sensitive skin, hence the hives. No hives mean a reaction, an allergic reaction. I feel stupid for kidding myself. Tuesday Tips: Cheap and Effective Way To Reduce Dust In Our Homes, Cheesecloth! A couple of weeks ago I received a newsletter containing Healthy Home Tips from the Environmental Working Group about dust. 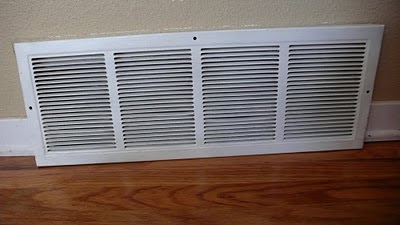 It contained tips on how to get rid of the toxic dust that is in our homes. Dust is toxic because it is known to contain chemicals that have been shed from products in our home such as furniture and our televisions. One type of chemical found in household dust is flame retardants, which is a known endocrine disrupting compound. Dust also contains pet dander, fungal spores, soil, and fibers. Yuck! And all along I just though dust was made up of our shed dead skin cells. Read more here about how to remove dust safely and effectively or how to create dust that's less toxic in the first place. Colorado schools are kind of funny. We have different breaks for neighboring towns and school districts. Our posting will be scattered from March 20. We are definitely back April 5! 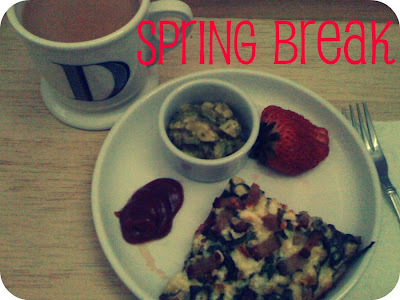 Enjoy a peek of my delicious breakfast in bed. Frittata! Two days back to back this week I found myself at the Pediatrician's office. They were both long, draining visits. The kind of visits you just want to be over with. 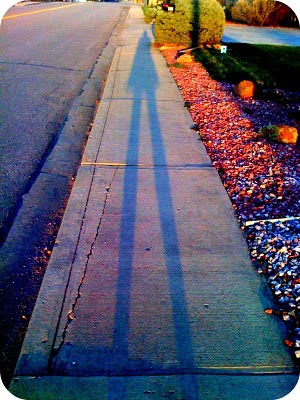 It's like a fog seems to settle into your mind, your legs and body move, but sometimes I wonder how present I really was. I told my husband who didn't have the honor of joining us at the Dr, that I wanted to lock him in the closet for two hours so he could feel what it's like. I have a mental image of all the wall decor of the room, what the view looks like from the office window, the small tattoos on the wrist of the nurse, the coloring of the horses off in the distance. There's a little plugin animated faux aquarium that sits on the counter next to the sink, it's never plugged in. I am always tempted to plug it in while we are sequestered to our checkup room, but I never do. I also want to peek in the cabinets, but I refrain. Have you ever packed your child's lunch and thought, I hope they wash their hands before they eat? I believe in my daughter's class they do wash their hands in the classroom before lining up for lunch, but I'm not sure if they get to it everyday. Sometimes time slips away and they are running late, sometimes the teacher may forget. I like Sj to be prepared, so I always pack a little hand wipe in her lunch for her. Now is the time to pick up some plastic Easter eggs at your local store and put them to good bento use. The eggs are a perfect reusable place to store the hand wipe! Better yet, you can find really neat ones that have characters on them. 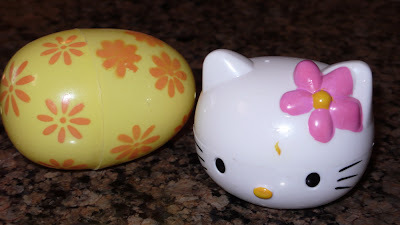 I always keep my eye out for cute and interesting eggs and definitely hit up clearance sales. I'm sitting here laughing a bit. Last week I posted six times, this week it's looking like life just got the best of me. The weather has been wonderful all week. I felt compelled to make the best of it. For some odd reason I had it in my head that it was going to snow, on Wednesday there was a little tease of snow and rain mix. Luckily for us, it was just a tease and the sunshine has come back in full force! Our friend Milo, the goofy black lab loves our backyard. Unfortunately with the snow sticking around longer in shady spots of our yard, it's officially mud season back there. Muddy paws make me cringe and quite frankly tired. Off the back of our house we have a garage door and french doors. 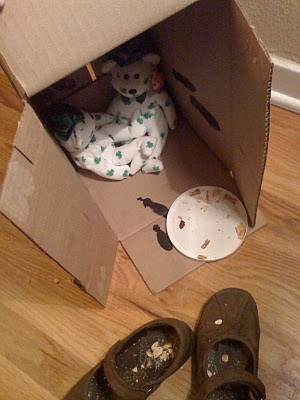 I decided to build Milo his own potty aka dog run. 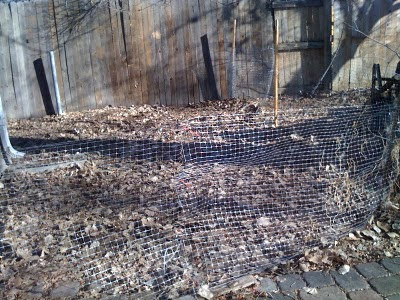 The other day when it was 50 degrees, I headed out back, tore down the wire fencing I had on my planting bed and made better use of it. See my work below! 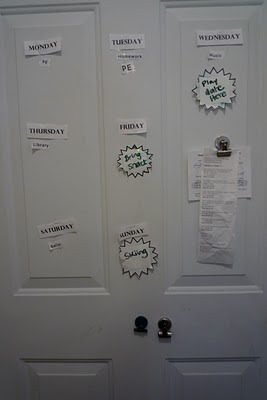 Tuesday Tips: Easy To Make, Magnetic Door Weekly Organizer! At the start of the school year, I had a really hard time keeping track of the days my daughter needed to keep things straight for school. On Monday and Tuesday she must wear sneakers for gym class and on Thursday library books are returned. The first day she came home in tears because we dropped the ball on sending back her library books, I knew I needed a system to help me stay organized. The intersection of 120th and Main Street in Broomfield has turned into an Asian food mecca. Dim Sum to Pho to the Pacific Ocean Market are some of the offerings within a quarter mile radius. Where once there was a Boston Market is now a Sushi and Asian cuisine restaurant called, Ooka. 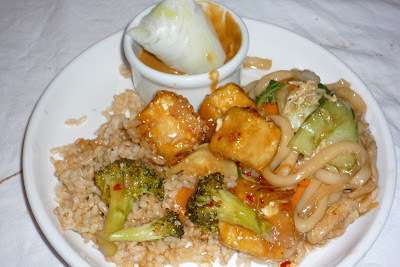 Definitely liked the spring rolls, the peanut sauce had great flavor. The sushi was nothing to write home about, don't expect high quality. Go with vegetable rolls and you won't be disappointed. We are very fussy about where we eat raw fish, so keep that in mind when ordering. I always think when in doubt avocado/cucumber is a safe bet. 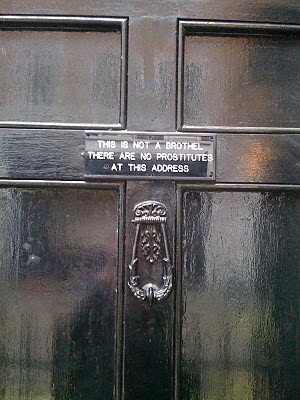 Strolling through the side streets of London on a Monday morning, a friend pointed out the signs on a few doors. Apparently this row of flats was known to house friendly women. Well not anymore, but let's just have a plastic placard made up because that darn hand written sign keeps blowing away. Those Brits are so proper, aren't they? So the story goes, a couple of years ago I naively started this blog. When I say naively in some regards I had no idea what I was getting into. Realistically speaking I joined the blogosphere well after it was established. I just thought, I'll write and let's see what happens. If it turned out two years later it was STILL only my mom reading this via email and my group of supporting friends than so be it. I was ready to take on the adventure. Come step inside my kitchen. Countertop aesthetic is something my husband and I have always agreed on. We prefer to have space on the countertops and cluttery appliances tucked away. 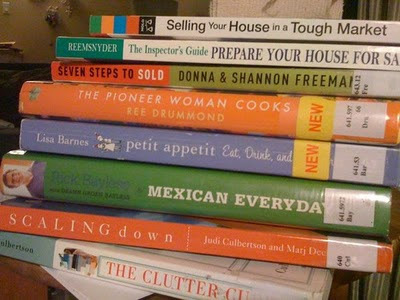 Cookbooks are stored in my office and piles of papers have to be removed nightly. For years, I've fought the coffee pot on the countertop. J is the coffee drinker of the family, so I just see it as an eyesore. We've never invested in a top notch coffee pot because they wear out or we break a carafe, so cheap and easy to replace is the way we go. Well taking that route has a price, they are just dreadful to look at. We have a special space in a cabinet for ours, but getting it put in there daily is a chore. Instead most of the time, it gets left out. I am happy to share I've found a solution to our eye sore! First let's see our other counters. It may have been just four short days after I returned home from London when I called my husband into the bedroom. I told him, it's time. Of course he inquired as to what in the world I was talking about, really it could be time for anything. It's time to sell the house, I said in a very nonchalant calm tone. Just like that. Bam. Let's move. I'm done, I'm ready, next phase. Let's do this. I miss Tuesday Tips, they were some of my most popular posts. I've decided it's time to bring Tuesday Tips back. I've had some informative posts brewing and Tuesday Tips are the best place for them. Yes, we are huge fans of meatloaf in our house. 99% of the time I make ground turkey breast meatloaf. Have I ever mentioned I am not particularly fond of ground beef? Well, I'm not. Turkey meatloaf gets the job done just splendidly for me. I don't ever feel like there is anything missing. 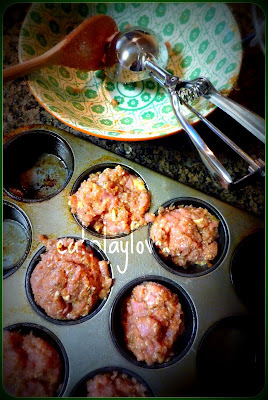 I make meatloaf often because it's so easy and quick to prepare, I don't need special ingredients, all items I use to make it are always in stock. If I am missing something, it's pretty easy to just replace it with an item on hand. Take for example bread crumbs, if I'm out, I just use quick cooking plain oats in place of the bread crumbs. Mom Has The Photo Evidence, Better Eat Up! 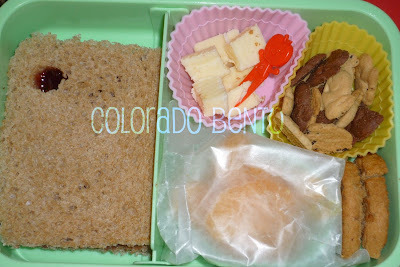 The other morning I made my daughter a bare bones bento. By bare bones, I mean thank goodness for canned mandarin oranges and peanut butter sandwiches. I hadn't been grocery shopping for the week yet, so I had to fall back on pantry staples. It's my goal to pack a nutritious lunch everyday with fresh fruits and vegetables, but sometimes it's just not possible. Below you will see, just a half peanut butter and jelly sandwich. Some mandarin oranges are hiding under the piece of wax paper I slip over the wet items in the bento to protect them from getting the crackers wet. Also filling the reusable silicone cupcake cups are some vintage cheddar cheese and Annie's graham bunnies. Just like a nice mom, I put one girl scout cookie, broken in half to make it fit. Sea World, Do I Support You or Shame On You?!? Today over at the Rocky Mountain Moms Blog, I've written a post about Sea World. Before the tragic loss of a trainer's life and some heavy national press, I never really had a vocal opinion on the matter. Do I support the captivity of Orcas or believe they should be at home in the wild? Find out here.